Our CRM MVP guest blogger for today is David Jennaway who is the technical director at Excitation. I’ve recently been involved in analyzing and resolving performance issues in several Dynamics CRM implementations. Different issues have had different root causes; this post is focused on those where the root causes lie with SQL Server. My intentions in this post are to introduce the SQL Server tools that can be used for performance analysis, and to describe some techniques to help you apply them effectively in a CRM implementation. Here I’m considering scenarios where general CRM performance is absolutely fine, but specific queries (i.e. views) within CRM are slow. If only specific queries have a problem, then SQL Server is where I’d look first. 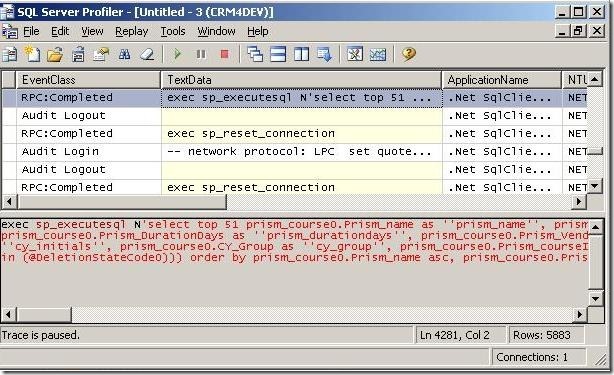 The first part of the investigation is to identify what the SQL Server receives from CRM. 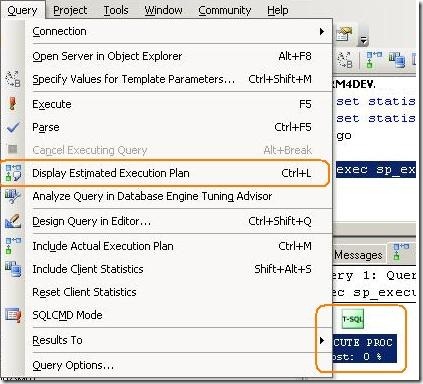 The SQL Profiler tool can give you this information by capturing the requests submitted to the SQL Server. The screenshot below shows a capture in two panes; the upper pane displays each request, and the lower pane has the SQL statement submitted – in this case from a CRM view. A trace is used to capture data. The trace definition includes a filter to specify which requests you want to capture, along with which events and columns you want to capture. SQL Profiler has several templates you can use for this, and the ‘Standard (default)’ template will give you all the information you need about a specific query. One issue you’ll quickly see when using this template on a live CRM implementation is that a lot of activity is captured, and it can be difficult to find the query you want. Amongst the specific queries for CRM views, CRM will submit queries to access CRM metadata, and the CRM Asynchronous Service will continually monitor various tables. Once you have built appropriate filters in your trace, you can then save it as a template for future use. You can directly copy this into SQL Management Studio and run the query to see the results. This can give some immediate performance information (number of records and overall execution time), but you can get a lot more information. Table ‘AccountBase’. Scan count 1, logical reads 4, physical reads 0, read-ahead reads 0, lob logical reads 0, lob physical reads 0, lob read-ahead reads 0. CPU time = 50 ms, elapsed time = 44 ms. I don’t intend to go into detailed analysis of this information here, but here are a couple of examples where I’ve gained useful insight from this information. This can be done with a bit of string manipulation, but does get tiresome after a while, so I wrote a tool to do the conversion, which is available here on the MSDN Code Gallery. The tooltip displays information about a particular step, and I have highlighted the specific index that was used. 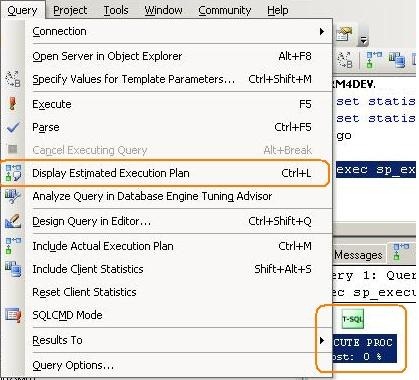 The other highlight indicates the cost of each step relative to the overall query, so you can identify which steps may cause performance problems. This post has necessarily only scratched the surface of SQL performance analysis. A lot more information is available in the SQL Books Online documentation – a good starting point is Analysing Queries. 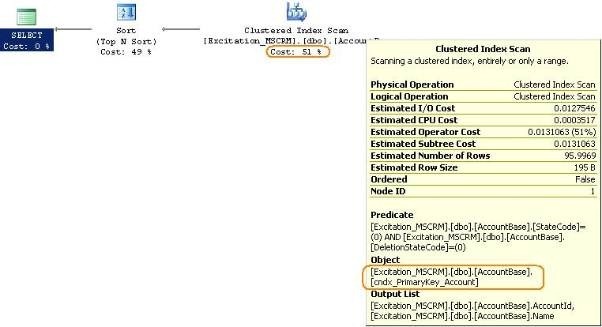 Also, an earlier post on this blog takes a complementary approach by looking at the use of the Database Tuning Advisor to determine if the SQL indexes are appropriate.